Night in Old Fredericksburg showcases the history, culture, food, and fun of this charming Hill Country community we live in. Guaranteed to stimulate all the senses and will delight folks of all ages. 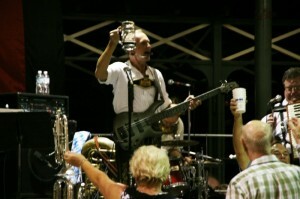 Listen and dance to nine different bands playing polka, show tunes, country. Enjoy Tasty food and refreshing drinks, a kids play area, historical demonstrations , ants and craft booths! Help celebrate our German heritage and Texas Hospitality on Marktplatz in downtown Fredericskburg June 10 & 11. Please call 830-997-8515 for more information.